Stuart J. Schnitt, M.D. 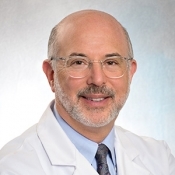 is the Director of the Division of Anatomic Pathology at Beth Israel Deaconess Medical Center, co-leader of the Dana Farber Harvard Cancer Center Breast Program, a Professor of Pathology at Harvard Medical School and an internationally recognized expert in breast pathology. He did his internship and residency in Anatomic and Clinical Pathology at Beth Israel Hospital in Boston followed by a fellowship in surgical pathology, also at Beth Israel Hospital. Dr. Schnitt has published over 300 original articles, review articles, editorials, commentaries, and book chapters, primarily in the area of breast diseases. He has authored a popular breast pathology textbook entitled “Biopsy Interpretation of the Breast”, now in its second edition; this book has also been published in Chinese. In addition, he is one of the editors of the 4th Edition of the “World Health Organization Classification of Tumours of the Breast”, published in 2012. He has been cited in multiple editions of “The Best Doctors in America” and “America’s Top Doctors”. Dr. Schnitt is a Past President of the United States and Canadian Academy of Pathology (2010-2011). He has lectured extensively around the world. His research interests and contributions to our understanding of benign breast diseases and breast cancer have been broad, but have largely focused on risk factors for local recurrence in patients with invasive breast cancer and ductal carcinoma in situ treated with breast conserving therapy, benign breast disease and breast cancer risk, and stromal-epithelial interactions in breast tumor progression. Collins LC, Achacoso N, Haque R, Nekhlyudov L, Quesenberry CP, Schnitt SJ, Habel LA, Fletcher SW. Risk Prediction for Local Breast Cancer Recurrence Among Women with DCIS Treated in a Community Practice: A Nested, Case-Control Study. Ann Surg Oncol 2015. Schnitt SJ, Moran MS, Houssami N, Morrow M. The Society of Surgical Oncology-American Society for Radiation Oncology Consensus Guideline on Margins for Breast-Conserving Surgery With Whole-Breast Irradiation in Stages I and II Invasive Breast Cancer: Perspectives for Pathologists. Arch Pathol Lab Med 2015. Tan PH, Schnitt SJ, van de Vijver MJ, Ellis IO, Lakhani SR. Papillary and neuroendocrine breast lesions: the WHO stance. Histopathology 2015. Morrow M, Schnitt SJ, Norton L. Current management of lesions associated with an increased risk of breast cancer. Nat Rev Clin Oncol 2015; 12:227-38. Elmore JG, Longton GM, Carney PA, Geller BM, Onega T, Tosteson AN, Nelson HD, Pepe MS, Allison KH, Schnitt SJ, O'Malley FP, Weaver DL. Diagnostic concordance among pathologists interpreting breast biopsy specimens. JAMA 2015; 313:1122-32. Su X, Boeke CE, Collins LC, Baer HJ, Willett WC, Schnitt SJ, Connolly JL, Rosner B, Colditz GA, Tamimi RM. Intakes of fat and micronutrients between ages 13 and 18 years and the incidence of proliferative benign breast disease. Cancer Causes Control 2015; 26:79-90. Dialani V, Venkataraman S, Frieling G, Schnitt SJ, Mehta TS. Does isolated flat epithelial atypia on vacuum-assisted breast core biopsy require surgical excision? Breast J 2014; 20:606-14. Healey MA, Hu R, Beck AH, Collins LC, Schnitt SJ, Tamimi RM, Hazra A. Association of H3K9me3 and H3K27me3 repressive histone marks with breast cancer subtypes in the Nurses' Health Study. Breast Cancer Res Treat 2014; 147:639-51. Onega T, Weaver D, Geller B, Oster N, Tosteson AN, Carney PA, Nelson H, Allison KH, O'Malley FP, Schnitt SJ, Elmore JG. Digitized whole slides for breast pathology interpretation: current practices and perceptions. J Digit Imaging 2014. Allison KH, Reisch LM, Carney PA, Weaver DL, Schnitt SJ, O'Malley FP, Geller BM, Elmore JG. Understanding diagnostic variability in breast pathology: lessons learned from an expert consensus review panel.